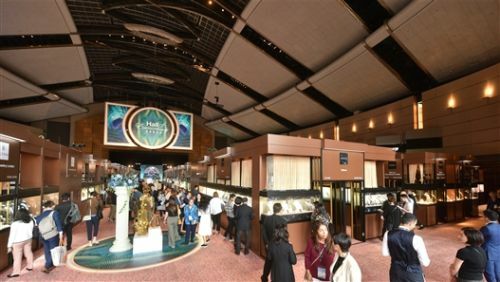 HONG KONG, Mar, 04 2019 - (ACN Newswire) - The sixth HKTDC Hong Kong International Diamond, Gem & Pearl Show (26 Feb to 2 March) and the 36th HKTDC Hong Kong International Jewellery Show (28 Feb to 4 March), both organised by the HKTDC, have drawn to a successful close. The two shows featured a total of more than 4,600 exhibitors and welcomed a record number of over 90,000 buyers from 141 countries and regions, up 4% over the previous year. More than 35,000 buyers attended the Diamond, Gem & Pearl Show, while about 55,000 visited the Jewellery Show. Benjamin Chau, Deputy Executive Director of the HKTDC, said: "Facing an uncertain global economy, jewellers have been actively enhancing their design and R&D capabilities in recent years. The growing diversity of designs and materials was demonstrated in the exhibits at this year's shows, which successfully attracted the attention of global buyers. 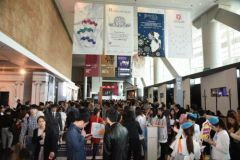 "We are delighted that the buyer attendance at the two shows reached a record high, with a satisfactory growth in attendance from emerging markets such as Mainland China, India and ASEAN countries such as the Philippines, Singapore, Malaysia and Indonesia. The implementation of the Outline Development Plan for the Guangdong-Hong Kong-Macao Greater Bay Area is set to bolster Hong Kong's position as an international exhibition and sourcing hub and generate even more opportunities for Hong Kong's businesses." 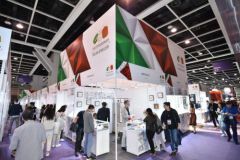 During the shows, the HKTDC commissioned an independent on-site survey that interviewed 1,347 exhibitors and buyers to gauge their business expectations and views on the industry's latest developments. With the Sino-US trade conflict weighing on the global economy, the survey found that 60% of respondents were neutral or positive about their export performance over the near term, while close to 80% were optimistic or neutral about the prospects of Mainland China and the United States resolving their trade issues. The Jewellery Show, held at the Hong Kong Convention and Exhibition Centre, is an annual signature event of the global jewellery industry. Many exhibitors take advantage of the occasion to launch or promote new jewellery items, lay the groundwork for the coming year's sales, and help develop global markets. Hong Kong exhibitor Foo Hang Jewellery Ltd is one of Hong Kong's biggest diamond importers with a history going back more than 70 years. Speaking about the company exhibiting in the Hall of Extraordinary at the Jewellery Show for the second time, Terence Wu, the company's Head of Purchasing & Marketing, said: "With the world's most renowned jewellery companies in attendance, this premium zone provides an ideal platform for us to present rare and luxury collections and attract high-end customers from all over the world. Buyer traffic is up on last year, and we have met with new buyers from Mainland China, Taiwan and the United States. We already sold more than HK$1 million worth of jewellery on the first day of the show." This year marks the sixth year that the HKTDC has adopted the "two shows, two venues" format, showcasing finished jewellery at the Jewellery Show and jewellery raw materials at the Diamond, Gem & Pearl Show, held at AsiaWorld-Expo. The twin-show format provides exhibitors and buyers with a highly effective platform to connect with potential business partners. Guangzhou City You Nuo Jewelry Co Ltd has been selling its natural coloured stones and jewellery items to Mainland Chinese and international buyers primarily through third-party e-commerce platforms such as Amazon and Tmall. The company's CEO, Liu Wenhui, said: "Every year we take advantage of the Diamond, Gem & Pearl Show for sourcing, and in 2019 we aim to acquire more coloured stones such as morganite, aquamarine, tanzanite, rubies and emeralds. Discussions are now underway with existing suppliers for different stones, with orders estimated at US$1-2 million. At the same time, we are looking around for new suppliers for rubies and emeralds. We expect to buy products worth a total of US$4 million at the show." 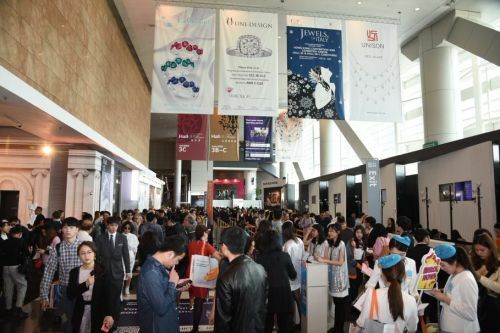 Over 90,000 buyers from 141 countries and regions attended the sixth HKTDC Hong Kong International Diamond, Gem & Pearl Show and the 36th HKTDC Hong Kong International Jewellery Show, both organised by the HKTDC.